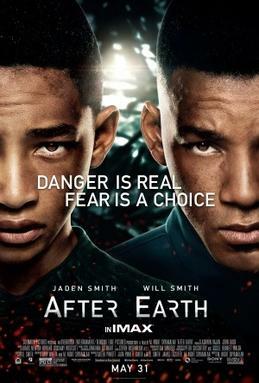 After Earth seemingly has a lot of things going for it that would get me to buy a ticket. I love science fiction, in particular post-apocalyptic stories (which is why I continued watching Revolution, despite the downturn in quality). I’m a big fan of Will Smith; I had a poster of him from Independence Day on my wall when I was young, I still think Men in Black is one of the funniest movies I’ve ever seen, and his performance in Ali is spectacular. I’m also a big M. Night Shyamalan fan, even enjoying Lady in the Water and The Village. And while I was more enthusiastic about Oblivion than I was about After Earth, I still planned on seeing both. Welcome to “Trailer Tuesday” where I talk about trailers for upcoming movies, since I’ve always found trailers to be endlessly fascinating.